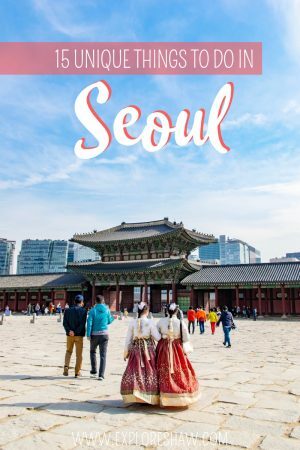 The biggest city in Korea and actually the fourth biggest city in the world, Seoul is a can’t miss destination on your adventures around Asia. 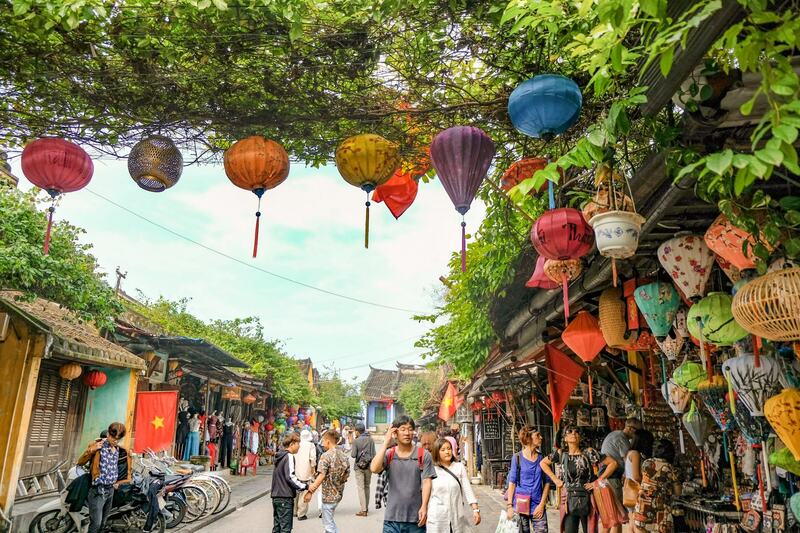 With everything from culture and heritage landmarks, to war memorials, an insight into North Korea and an abundance of cat cafes, there’s always something new and exciting to explore. If you’re heading off to Seoul, here are 10 unique things to do on your trip that you won’t want to miss. Our favourite day of our time in Seoul was our visit to the DMZ – the Demilitarised Zone between North and South Korea that effectively acts as a border between the two countries. 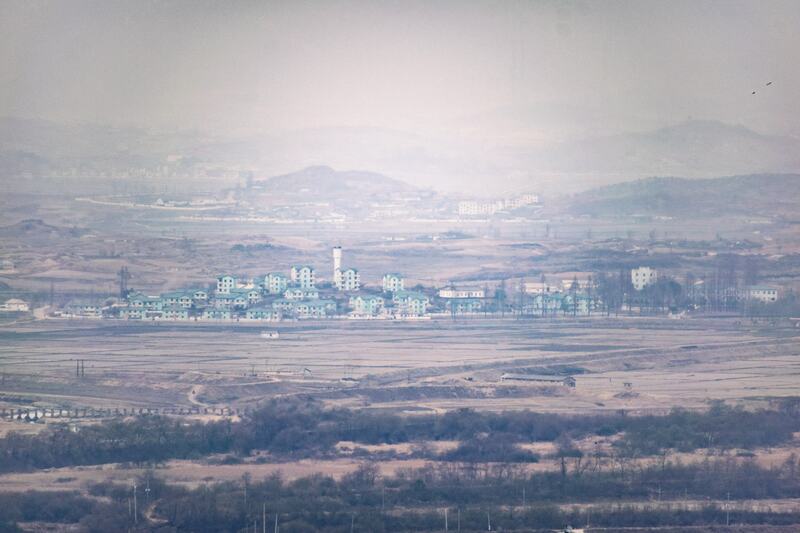 The DMZ is the only place in the world that you can get a glimpse into North Korea, without actually visiting the country itself, and it is considered to be the most dangerous border in the world. A day trip to the DMZ gives you a great insight into the two countries of Korea, a little bit of the history of the Korean War and an understanding of what’s happening in Korea today. 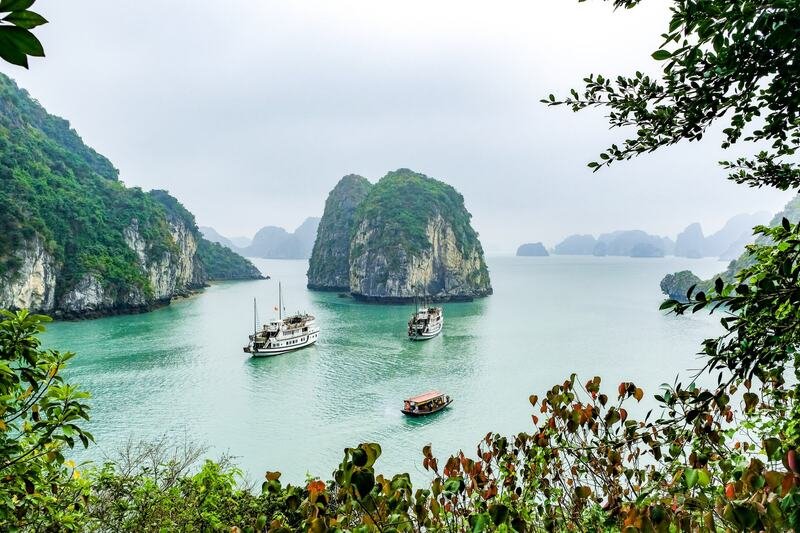 Our tour with VIP Travel was absolutely fantastic and we couldn’t recommend it highly enough. 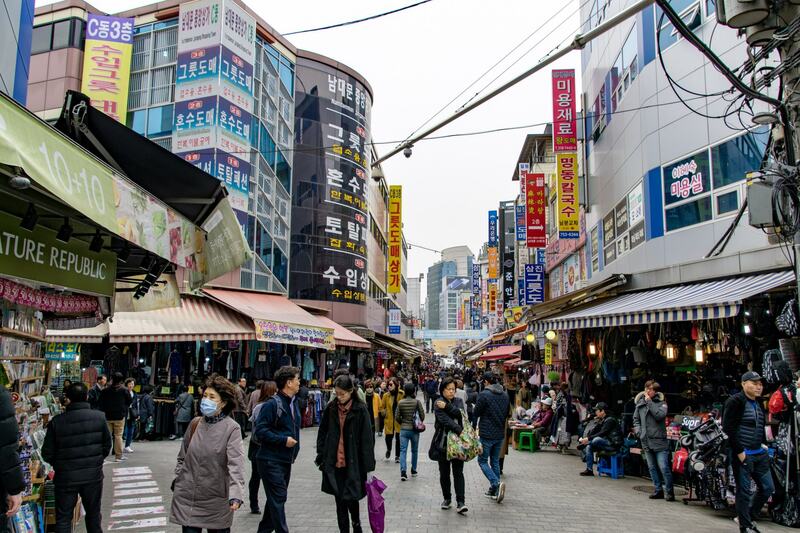 The ultimate place to stay and the home of shopping in Seoul, Myeong-dong is where you can find everything you ever wanted. 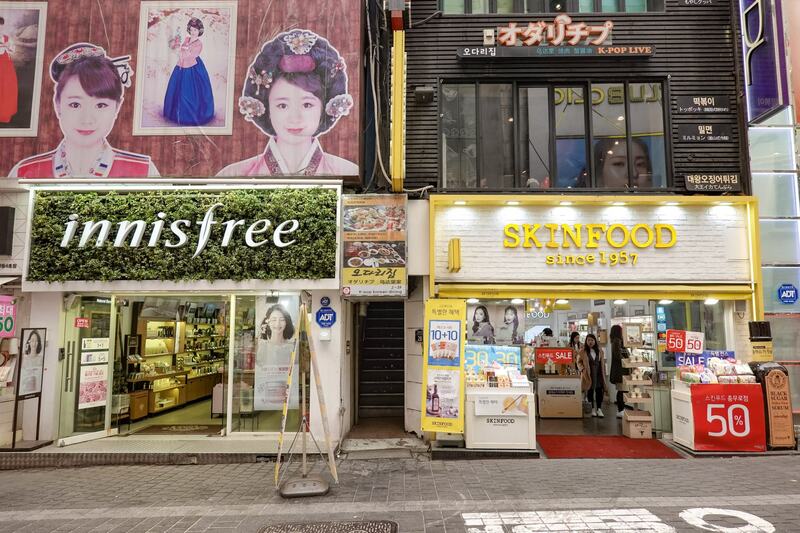 From international brands such as Forever 21, H&M and Zara, to local favourites, delicious street food, traditional restaurants and more skincare stores than you can even count, Myeong-dong never sleeps. 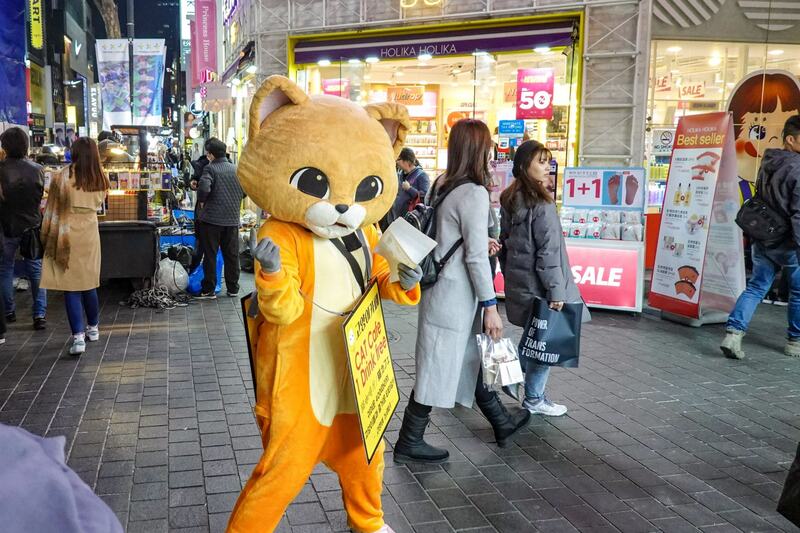 The streets of Myeong-dong comes to life at night, with people flooding into the streets and bright colourful signs and lights illuminating the sky. 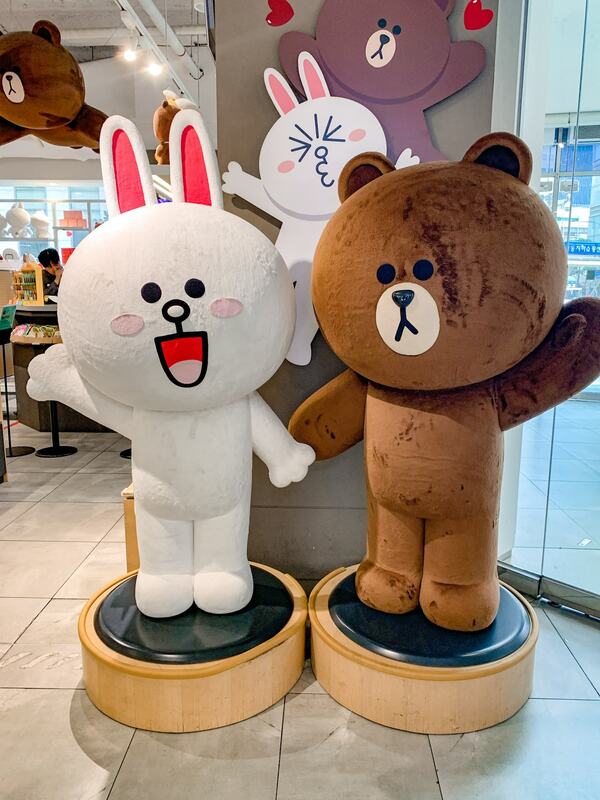 If you’re looking for the cutest Korean bits and pieces make sure you check out Line Friends and Artbox, you just can’t go past their cute little characters plastered over all their products. 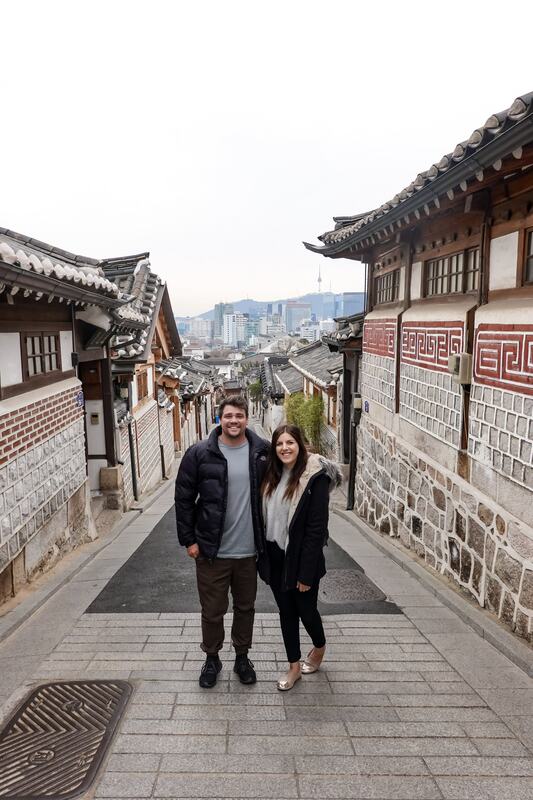 This little village, located right next to the Gyeongbokgung Palace, is home to hundreds of traditional Korean houses, built on steep streets that overlook the rest of the city. The area is still a residential area, so make sure you’re always being quiet and respectful when you’re exploring the area. 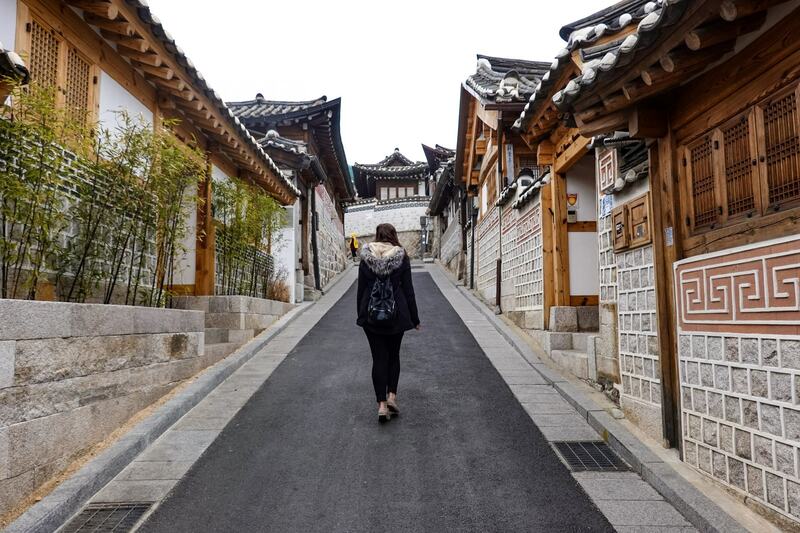 These days many of the homes around Bukchon have been turned into guesthouses, cultural centres, tea houses and restaurants, giving visitors a great opportunity to learn about Korean culture and experience a bit of it for themselves. Entry to Bukchon Hanok Village is free and you can visit all year round. On the weekends however, the lane ways of the village are closed to respect the residents. If you’re catching the subway get off at Anguk Station and take exit 1 or 2 on subway line 3. 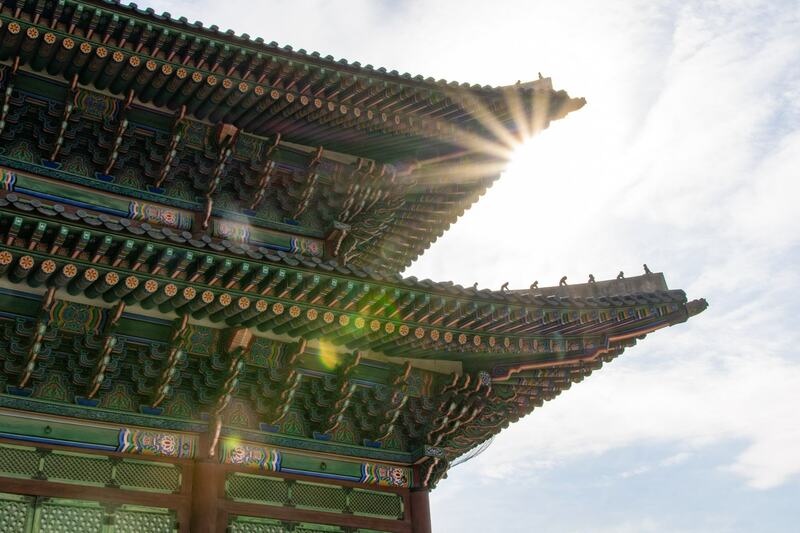 Built in 1395, Gyeongbokgung Palace was the main royal palace during the Joseon dynasty, and is one of five palaces that can still be found around Seoul. It is also known as the Northern Palace and is considered the biggest and most beautiful of all the remaining palaces. 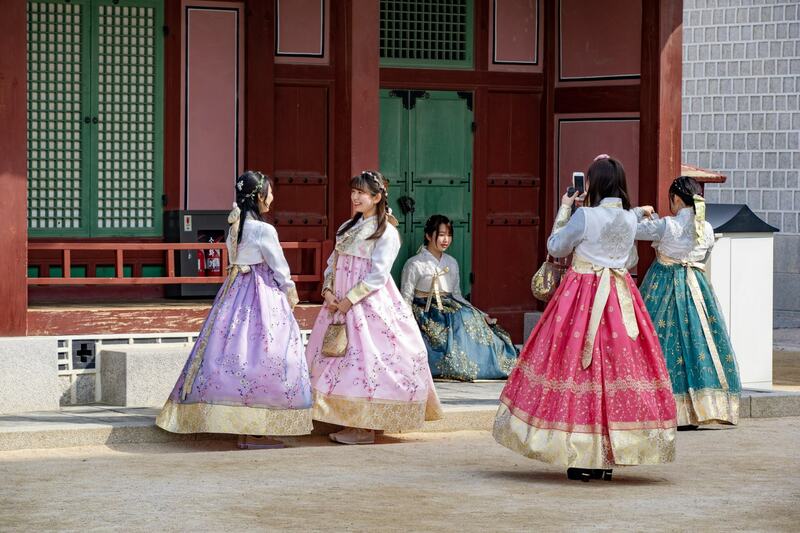 During the day you can see lots of locals dressed in traditional hanboks around the palace, they make the whole place look so cute and traditional. Apparently if you’re wearing a hanbok you can get into the palace for free, so why not! 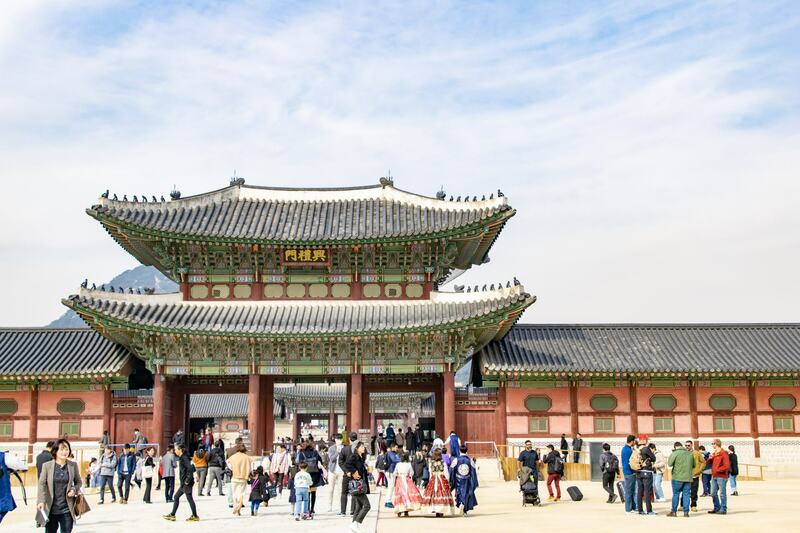 Entry to Gyeongbokgung Palace costs 3,000 won for adults over 25 years old (under 24 is free), and the palace is open from 9am to 5pm, with extended hours in the summer months. The palace is closed each Tuesday. If you’re catching the subway, get off at Gyeongbokgung Station and take exit 5 on subway line 3 or Gwanghwamun Station – exit 2 on subway line 5. 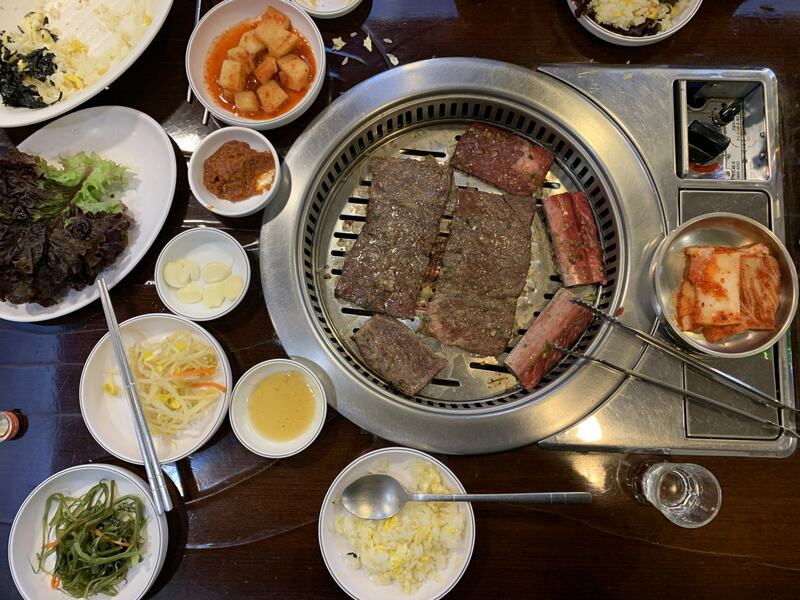 Arguably the most famous cuisine from Korea, you can’t visit Seoul without hitting up one of the local restaurants for a night of Korean BBQ. Offering all kinds of BBQ meat choices, with a range of very interesting sides, it’s an experience you won’t want to miss. There are Korean BBQ restaurants all over the city, and while the English may be a little limited, the menus have very accurate pictures and the ladies working there are very friendly and great at their job. Maybe one of the most loved Instagrammed hot spots around Seoul, Common Ground is one of the places we enjoyed visiting most around the city. 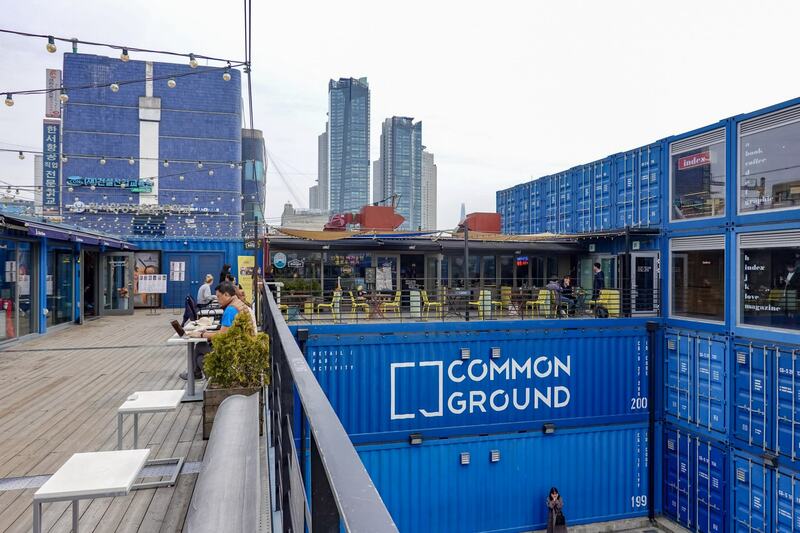 Created out of a stack of shipping containers, Common Ground is a great shopping spot with all kinds of unique pieces to be found inside. The roof top is a great place to stop and have a drink and a snack during your day of exploring. We stopped at Lite Lane in the Market Hall area of the third floor for a delicious piece of red velvet cake and a glass of sangria. Exactly what we needed after such a huge morning of exploring. Catch the subway to Konkuk University Station and take exit 3 on subway line 2 or 7. At all the major attractions around Seoul you’re likely to see women of all ages donning the traditional Korean hanbok. Traditionally, this Korean dress wear was worn during very formal occasions such as festivals, ceremonies and celebrations. These days you can rent a hanbok from many different places around Seoul, and if you’d like to try one yourself they actually start from as little as 7,000 won a rental, including accessories. All of the places around the city even offer free entry to those wearing a hanbok, and seeing people walking around in these outfits actually gives a wonderful vibe to the whole place. Sitting just out the front of the busy area of Myeong-dong, Namdaemun Market is the largest traditional market in Korea, with all kinds of shops and stalls selling a huge number of goods. It’s thought that there are more than 10,000 stores in the market, with absolutely everything you could be looking for on offer to purchase. 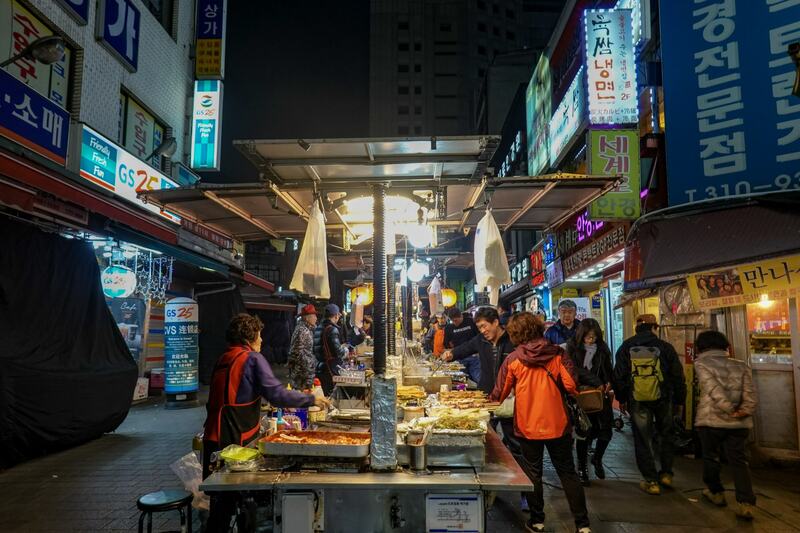 You can find some delicious street food around the streets of Namdaemun Market, so it’s a great place to visit if you’re looking for a quick bite to eat. It seems to be open almost all the time, with a day market running into the night market, and vendors operating almost all the time. Catch the subway to Hoehyeon Station and take exit 5 on subway line 4. 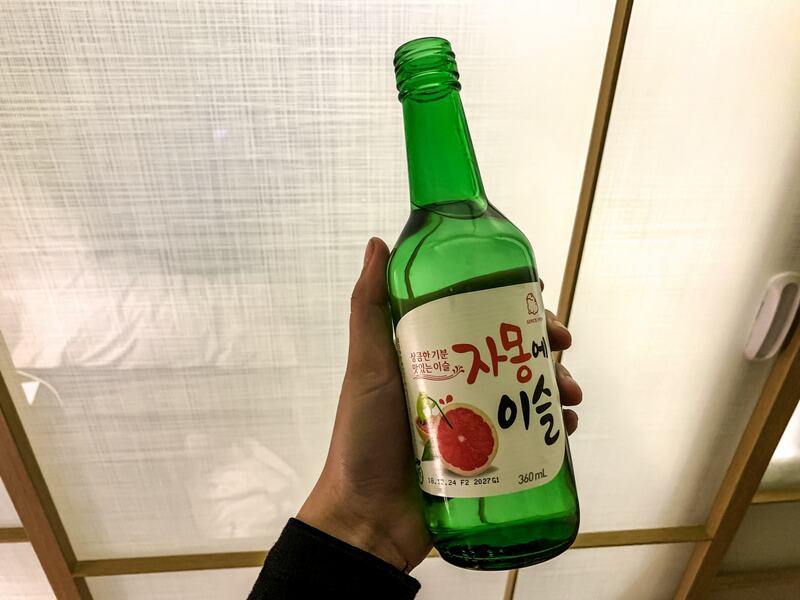 The traditional alcoholic beverage in Korea is soju, and it can be found everywhere from the restaurants and cafes to the 7/11 and convenience stores around the city. It’s traditionally a rice liquor made from rice, wheat or barley, although these days the rice is often replaced by potatoes or tapioca. Soju comes in a few different flavours and is actually quite tasty if you get the right flavour. You normally drink it straight, although the alcohol content can differ between different brands and you can mix it with soft drink if it’s a little too strong for you. As a started I would recommend trying the guava flavoured soju, it’s delicious. There is a huge culture of street food in South Korea, with all kinds of stands lining the streets, markets and popular areas. The food stalls offer everything you could be craving, from chocolate covered strawberries to chicken skewers, and full blown rice and meat meals to popcorn. Street food in Seoul is marginally cheaper than the meals in the restaurants, but it’s definitely not the cheap meals you’re used to from travelling through Southeast Asia. None the less, it is delicious and definitely a way to eat your way through the city. Cat Cafes are hugely popular these days, with more and more cat cafes popping up all over the world. With it’s origins starting in Asia, cat cafes have quickly spread throughout the world, and huge cities like LA, Melbourne and London even offer the phenomenon now. Seoul loves a cat cafe and you can often find people handing out flyers around the main tourist areas letting you know where you can spend your afternoon cuddling up to their friendly cats. Standing at 555 metres tall, the 123 floor Lotte World Tower is the 5th tallest building in the world, and the tallest in all of Korea. 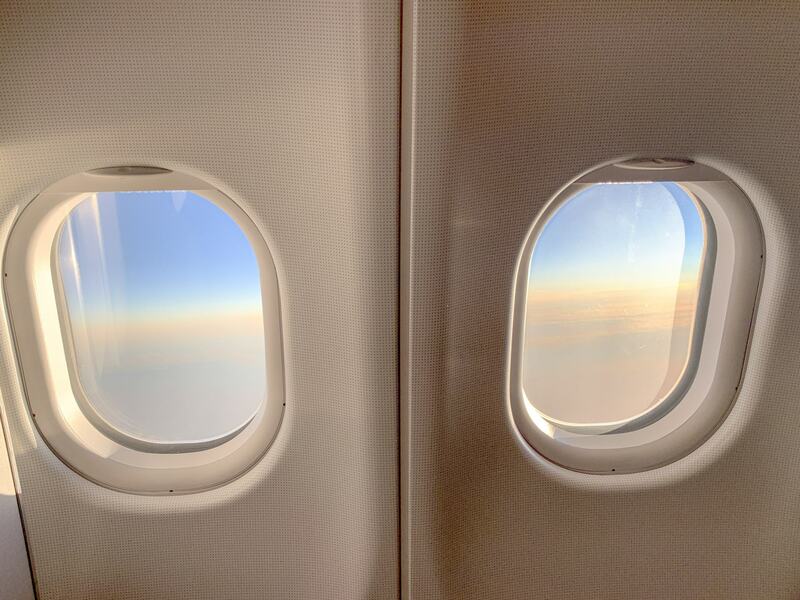 It’s home to an observation deck, shopping mall, hotel, cinemas, offices and even residential apartments. One of the best places to view the tower in it’s entirety is from the Seokchon Lake right in front. The lake is a lovely peaceful spot in the middle of this bustling city and offers some of the best views of this incredibly tall tower. 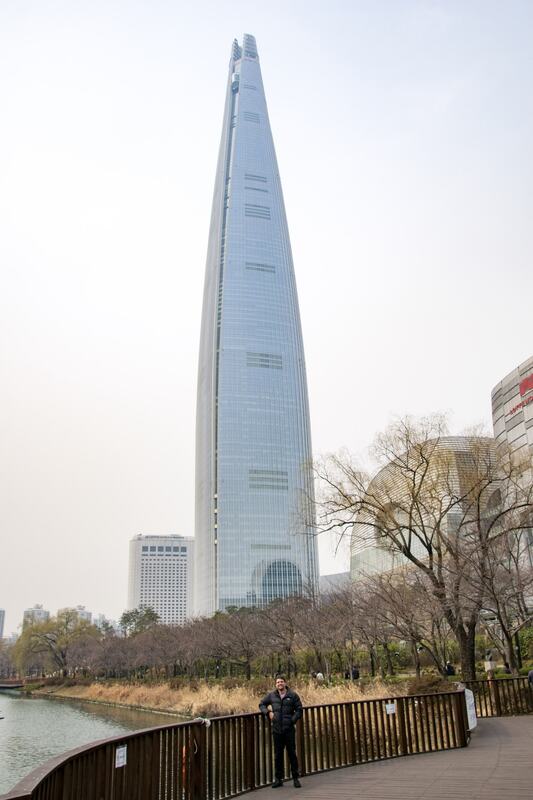 To visit the Lotte World Tower catch the subway to Jamsil Station on subway lines 2 or 8 and then take exit 1, 2, 10 or 11. Visiting Seoullo 7017 was the main time during our visit to Seoul that we wished we had visited in the summer time. 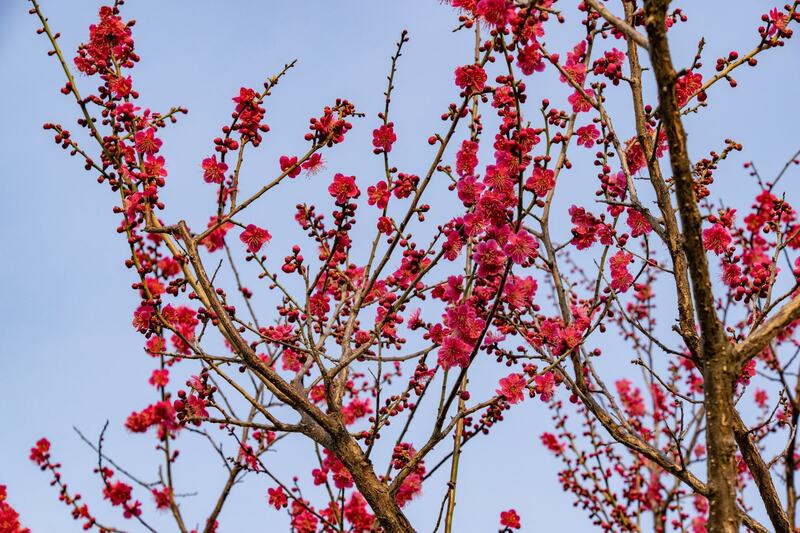 Even though we had been blessed with sunny weather, this sky garden would juts be so so beautiful in the summer time, when all the plants and trees are in full bloom. Built on an elevated road above the city, Seoullo 7017 offers lovely views of the city streets, while also being a home to a unique collection of plant displays, trees and flower beds. The Rose Garden is one of the top highlights, a can’t miss if you’re visiting the area during spring or summer. Namsan Seoul Tower, more commonly known as the N Seoul Tower, was the first observation type tourist spot in Korea. 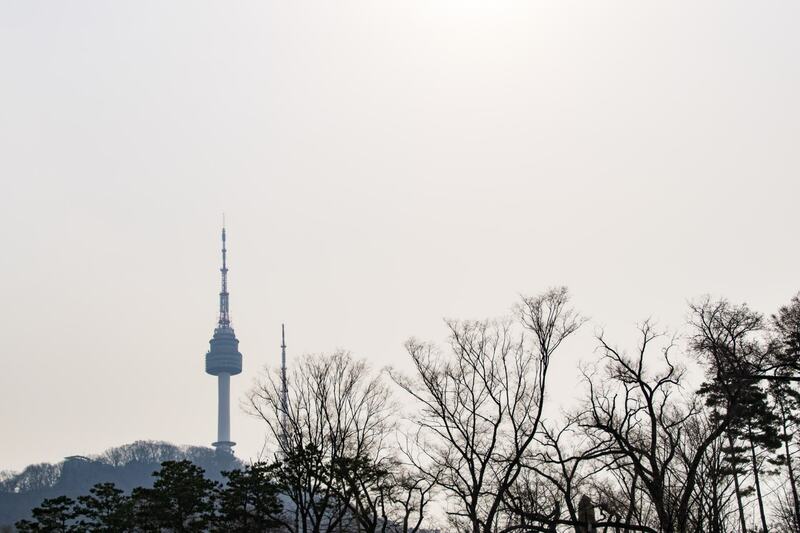 Due to it’s position on a mountain it’s one of the tallest towers in the Orient and is home to the Seoul Tower Plaza. You can check out the city from the top for 10,000 won, with views sweeping for miles on a clear day. The observatory is open from 10am to 11pm on Sunday to Friday, and open until midnight on Saturdays. If you don’t want to hike up to the tower you can also catch the Namasan Cable Car to get you to the top! Operating the same hours as the observation tower, a round-trip on the cable car costs 8,500 won per person and is an experience all of it’s own. During our visit to Seoul it was incredibly foggy, with the observation levels of the tower surrounded by cloud, so we decided not to visit the top this time. Next time we’re back though, we’ll be hitting it up first! Catch the subway to Myeong-dong Station and take exit 3 on subway line 4. To get to the cable car, walk for about 12 minutes following the street on the right side of the Pacific Hotel. Alternatively, you can catch the Namsan Circular Shuttle Bus from surrounding subway stations – Myeong-dong Station, Chungmuro Station, Itaewon Station or Hangangjin Station. South Korea’s very own amusement park, Lotte World is fun for the whole family! It’s got everything you might want for a day out at a theme park, from thrill rides and entertainment to an ice rink, parades, folk museum and more. Lotte World is considered the world’s largest indoor theme park, with an outdoor adjourning theme park know as Magic Island also offering fun for visitors. Catch the subway to Jamsil Station and take exit 4 on subway line 2 or 8. Lotte World is directly connected to the station and exit 4, so it’s super easy to get to. We had such a wonderful time in Seoul, it was the perfect long weekend getaway for us and even though we were travelling in winter (not really the norm for us), we really enjoyed ourselves. South Korea is one of the biggest cities in the world and after visiting for ourselves, it’s not hard to see why this city has so many visitors each year. 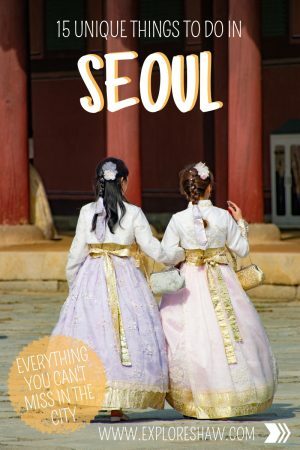 Have you visited Seoul before? What were some of your favourite things to do?